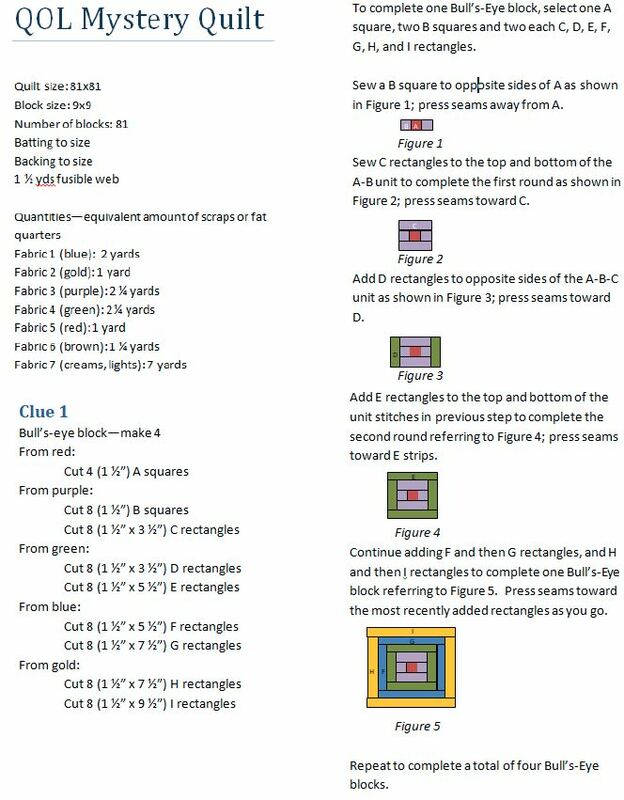 For our first month, here are fabric requirements along with the first clue. This is very scrappy so pull from your stash. Fabric requirements are also estimated high. 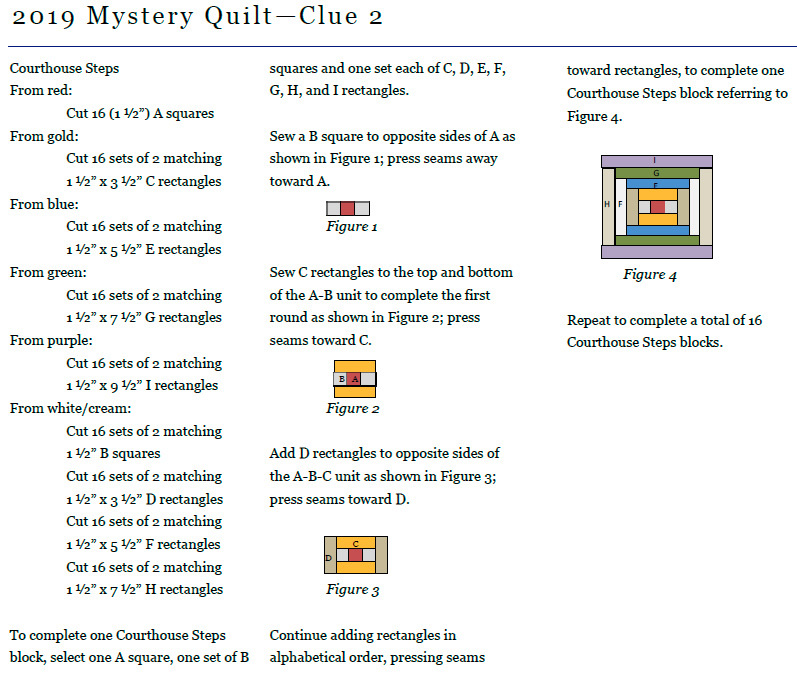 There are 8 “clues” for this mystery quilt to allow for time to assemble it before our reveal in November 2019. Feel free to change up your colorway, but keep your colors consistent all the way through. I will bring a sample block to guild meetings.